A new Rhode Island state law requiring that data on public school students of Asian descent be separated by ethnicity has reignited debate in the Asian-American and Pacific Islander (AAPI) community. Gov. Gina Raimondo, a Democrat, signed the All Students Count Act into law around five months after it was first introduced in the Rhode Island General Assembly. 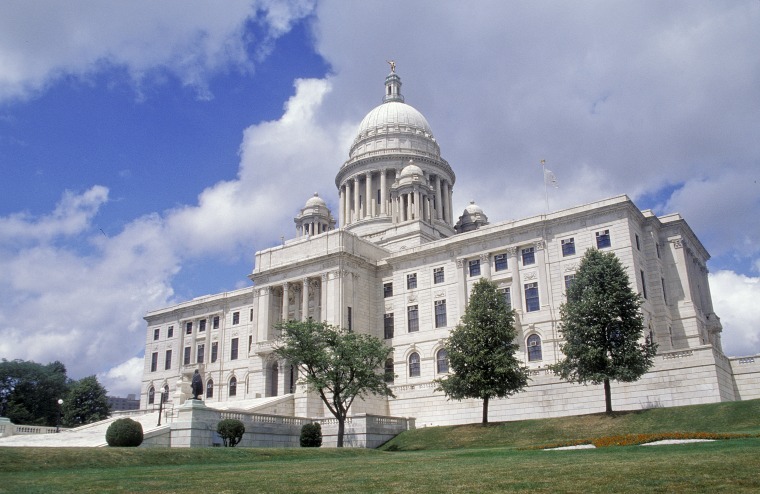 But a group of Chinese Americans lashed out against the law last week, protesting at the Rhode Island State House, according to the Providence Journal. They say the All Students Count Act singles out Asians and worry that the data might be used to advance race-based policies. This applies to whenever data is collected for reports that include educational proficiencies, graduation rates, attendance rates, and access to educational resources, according to an electronic copy of the legislation. Among the AAPI groups always to be included are Cambodians, Filipinos, Laotians, Vietnamese, and other Southeast Asians. Proponents of the measure, such as the Southeast Asia Resource Action Center (SEARAC), have called it a win for Southeast Asians, who often face higher poverty levels and lower rates of education attainment compared to other AAPIs. Without further refining data by ethnic group, they say, these communities often get lost in the mix and end up not receiving the services they need to help them. Reported rhetoric tying the collection and categorization of data on AAPIs to what the Nazis did to the Jews drew sharp criticism in an open letter from AAPI educators that has been circulating online. “This assertion is outrageous and ignores the history and purpose of collecting detailed data on Asian Americans,” the letter reads. Demonstrations over similar legislation broke out in California last year for a bill asking that both health and education data be categorized by ethnicity or ancestry for Native Hawaiian, Asian and Pacific Islander groups, a process known as disaggregation. An overriding fear among opponents, many of them Chinese American, was that the measure was a backdoor way to end California’s ban on affirmative action. That, they worried, might hurt their kids’ chances of getting into top state schools like UC Berkeley and UCLA. Supporters of that bill roundly dismissed those charges. But amid vociferous protests, legislators wound up stripping the legislation of the education component. A pared down version required only the California state Department of Public Health to disaggregate its data. Gov. Jerry Brown, a Democrat who vetoed a similar bill in 2015 that included education, signed the revised one into law in September. Rhode Island joins Washington and Minnesota as states that require the disaggregation of data on education, according to SEARAC. Asian Americans, Pacific Islanders, and Native Hawaiians make up roughly 3.8 percent of Rhode Island’s total population, according to the U.S. Census Bureau. Signatories of the open letter say that without “high quality data,” educators cannot know what challenges their students face and thus better serve them. “Data disaggregation is a mainstay of U.S. Census data collections, and is critical for AAPI communities pushing for greater ballot language assistance, bilingual education, mental health assistance for students, and culturally competent care by county hospitals,” the letter adds. Yang, a chemical engineer, said she believes people who need help should receive it. But she also said she fears the collected information can be used for other purposes.